Digging deep into the source of baseball in the United States, you can’t help but find yourself in parts of the country where the lime light rarely touches. 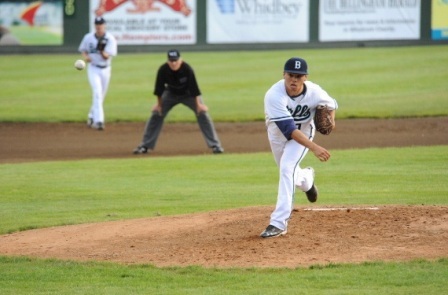 The Bells have signed two pitchers from the 2011 West Coast Conference champion University of San Francisco to play in Bellingham for the summer of 2012. 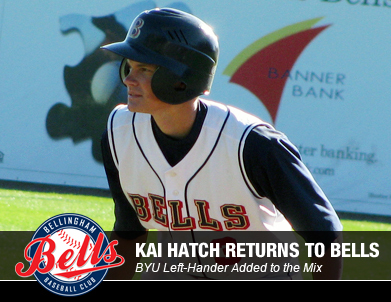 The Bells will bring back two more players for 2012 in shortstop Kai Hatch and third baseman Danny Poplawski. The Bellingham Bells are thrilled to announce that they will be bringing back the coaching trio of Gary Hatch (Manager), Jim Clem (Pitching Coach) and Bill Calkins (Assistant Coach) for the 2012 season. The Bellingham Bells are excited to announce the release of their 2012 West Coast League schedule. The Bellingham Bells are pleased to announce the hiring of Nick Caples as their new General Manager. The Bells final regular season game, scheduled for August 10 at Kelowna, was rained out in the top of the first inning. Thanks for all your support this season and we look forward to seeing you in 2012! After taking a big lead early in the game, the Kelowna Falcons went on to beat the Bells 10-4 Tuesday. An RBI single by Ben Swinford in the bottom of the tenth inning lifted Kelowna to a 4-3 win Monday, eliminating the Bells from playoff contention. With starting second baseman Danny Poplawski in the hospital, the Bells scored four runs in the ninth to come back and beat Wenatchee 11-9 Sunday in a must-win game. 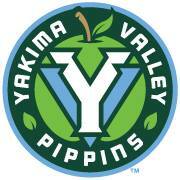 The Wenatchee AppleSox took command of Saturday’s game with a seven-run second inning, going on to beat the Bells 8-3. The Wenatchee AppleSox defeated the Bells 13-6 Friday night thanks to two big offensive innings in a game that saw 30 combined hits. The Bells first-inning run wasn’t enough as Kitsap scored three runs in both the fourth and fifth innings to win 6-1 Friday night in the Bells final regular season home game. Thursday promises to be a special evening at Joe Martin Field. It is the Bells last regular-season home game and there will be festivities throughout the evening. A Matt Forgatch single and timely pitching by the Kitsap BlueJackets enabled them to win a suspenseful 1-0 game over the Bells Wednesday at Joe Martin Field. Just like all of his Bells teammates, Chris Howard is living with a host family this summer. In a recent story, Howard's experience with his "second family" was chronicled, illuminating the profound bond. After seven scoreless innings, the Kitsap BlueJackets scored a run in both the eighth and ninth innings, beating the Bells 2-0 in the series-opening contest. A two-run home run by Eric Filia-Snyder helped the Wenatchee AppleSox to a 4-1 win over the Bells Monday, giving the AppleSox the series victory. Zane Yanzick scored Kai Hatch on a perfectly executed suicide squeeze bunt in the tenth inning, lifting the Bells to a 5-4 victory Sunday over the WCL-leading Wenatchee AppleSox. The Bells got off to a red-hot start, scoring three runs on five hits in the second inning. After base hits by Michael Aquino and Nick Rulli to begin the inning, Ben Grubb scored Rulli on a single. Andy Fortuna brought in another run on a bunt single and Eric Lane followed with an RBI single to right field. Bells starter Kolton Emery was untouchable in his first four innings but Wenatchee finally got a run in the fifth. After two straight outs, Breland Almadova and Erik Munzer singled, setting the stage for an Adam Nebulowich RBI double. The Bells tacked on another run in the bottom half of the inning. With Kai Hatch on first and Andy Fortuna on third, Manager Gary Hatch called a double steal. Fortuna scored on the throw down to second base. However, Wenatchee tied the game with three runs in the sixth. Aaron DeGuire and Conner George both got RBI singles and Nebulowich brought in a run after being hit by a pitch with the bases loaded. A nice defensive play by Pat Gallagher on a hard-hit grounder by the next hitter prevented the ApppleSox from taking the lead. Both teams had prime scoring opportunities in the ninth inning. Wenatchee loaded the bases with two outs before Nick Palewicz struck out DeGuire on a 3-2 pitch. The Bells had first and second with two outs when their leading hitter, Lane, flew out to right field. The Bells loaded the bases in the tenth when AppleSox pitcher Ben Ruff hit Hatch and Aquino and walked Gallagher. As Hatch dashed home, Yanzick squared around and laid down an excellent bunt towards first base. By the time Wenatchee’s first baseman reached the ball, Hatch had already crossed the plate. Emery had a good start for the Bells, allowing two earned runs in five innings while striking out four. Palewicz got the win after throwing two and two thirds innings with four strikeouts. With the Bells win and a loss by Walla Walla, Bellingham now has a one-game lead for the final playoff spot in the WCL’s East Division. The Bells and AppleSox will square off in the rubber match of the three-game set at 7:05 p.m. at Joe Martin Field on Monday. The Wenatchee AppleSox staved off a furious ninth-inning rally by the Bells on Saturday, winning the first game of the series by a final score of 3-2. The Cowlitz Black Bears forged an early lead and never looked back, beating the Bells 9-0 Friday in the finale of the three-game series. A pinch-hit double by Kevin Schwartz in the 12th inning scored the winning run and lifted the Cowlitz Black Bears to a 6-5 win over the Bells on Thursday night in a back-and-forth game. The Bells got off to a roaring start with a trio of runs in the first. With runners on first and second and two outs, Ben Grubb singled in Kai Hatch. After Jerry McClanahan walked on a full count, Michael Aquino ripped a single into centerfield, scoring two more and putting the Bells ahead 3-0. However, Cowlitz got two runs of their own in the first. Following a Kyle Garlick one-out single, Spencer O’Neil hit a two-run home run over the right-field wall. The Bells increased their lead, getting a run in both the second and fifth innings. Derek Atkinson scored Eric Lane on an RBI double in the second and Grubb crossed the plate on a fifth-inning wild pitch. Meanwhile, Andrew Pulido had another good outing on the mound for the Bells. Pulido rebounded from the O’Neil home run to go six innings, allowing only two runs while striking out five and allowing no walks. Cowlitz applied the pressure in the seventh inning, however. The Black Bears loaded the bases and scored a run on a balk before O’Neil provided another two-run hit, this time a double. The Bells bullpen came up with clutch pitching to prevent Cowlitz from doing any more damage. The Black Bears had runners on first and third with no outs in the seventh but Ryan Deeter retired the next three hitters. Deeter pitched two shutout innings, as did Nick Palewicz, who didn’t allow a single base runner. Mitch McQueen got out of a jam in the 11th inning to prolong the game. However, Cowlitz ended the game in the 12th. Beau Didier reached base with a leadoff walk and advanced to second on a wild pitch. Kirk Cunningham was intentionally walked before Schwartz’s game-winning hit, which barely landed fair down the right-field line. The Bells got 12 hits in the ballgame, including three each from Lane, Hatch, and Aquino. Bellingham is now 19-22 with a one-game lead over Walla Walla for the final playoff spot in the East Division. The Bells final game at Cowlitz will begin at 6:35 p.m. on Friday. The Cowlitz Black Bears took an early lead against Bellingham and leaned on superb pitching Wednesday night, beating the Bells 5-1 to open the series. The Kelowna Falcons scored nine unanswered runs Saturday night, rallying to beat the Bells 10-7 and take game two of the three-game series. Buoyed by a four-run first inning and steady pitching, the Bells beat Kelowna 8-1 on Friday night, snapping a two-game losing streak. Nick Hoover allowed only two hits in seven scoreless innings Wednesday evening, helping his Corvallis Knights to a 4-0 defeat of the Bells. West Coast League president Ken Wilson announced the league's 2011 All-Star teams as voted on by fans, league coaches and major league scouts. A home run by Corey Moore and RBI double by David Armendariz helped the Corvallis Knights to a 3-1 victory over the Bells Tuesday night, snapping the team’s four-game win streak. The Bells got season highs in both runs and hits Wednesday night, cruising to a 16-1 victory over the Corvallis Knights and their fourth straight win. We hope you can join us on Wednesday, July 20th when we honor Jamie Moyer. Throughout the season, there has been much buzz about the Bells brand-new mascot, Dinger. Bells fans, we expect big crowds for the upcoming series against first place Corvallis as our two biggest promotions of the year will be taking place during this series. Monday the 18th will be Dinger Bobblehead night, Tuesday the 19th as always is $2 Tuesday, and Wednesday the 20th will be Jamie Moyer Bobblehead giveaway night. Make sure to buy your tickets in advance by calling (360) 527-1035 or purchasing them online. Tickets can also be purchased at the stadium on game nights starting at 4:30pm, but make sure to arrive EARLY as we expect large crowds. Come support the Bells as they continue to fight for a playoff spot! Go Bells! With ace Adrian Sampson throwing another gem and the Bells getting a pair of late-game runs, Bellingham beat the Walla Walla Sweets 2-1 to complete a three-game sweep over their division rivals. Bells pitcher Andrew Pulido flummoxed the Walla Walla Sweets Thursday night, allowing only two hits in seven scoreless innings to help the Bells win 3-0, their second consecutive victory over the Sweets. 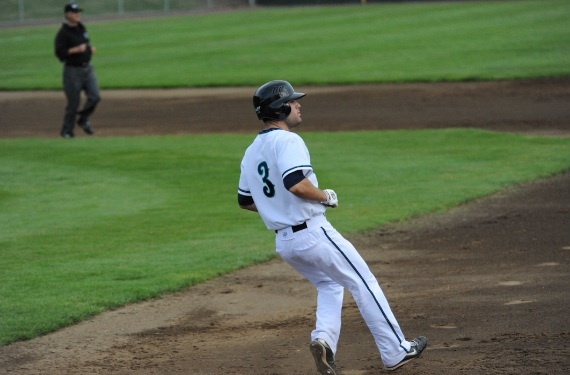 Five starters had multi-hit games for the Bells on Wednesday night, helping the team defeat the Walla Walla Sweets 5-2 at Borleske Stadium in the first game of an important three-game series. 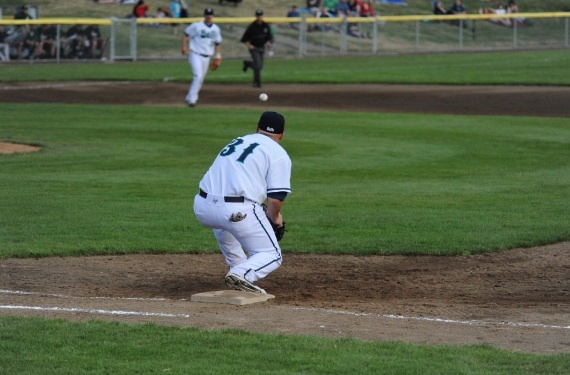 Unable to make a late comeback, the Bells lost 4-1 to the Alaska Goldpanners in a non-league game at Joe Martin Field on Monday night. A Bells base runner was thrown out at the plate attempting to score on an Eric Lane double in the 13th inning, ending the game and giving the Bend Elks a 2-1 victory over the Bells. Led by timely hitting, the Bend Elks beat the Bells 7-2 on Saturday in game two of the three-game set. A two-run single by Eric Lane in the eighth inning of Friday’s game broke a tie and helped the Bells to a 5-2 victory over the Bend Elks. Saturday, July 9 will be a truly special evening at Joe Martin Field… This will be our Breast Cancer Awareness Night. With a 3.953 cumulative GPA in mechanical engineering, Bells pitcher Ryan Deeter currently has the highest GPA of any student-athlete at UCLA, the school said in a statement released Thursday. 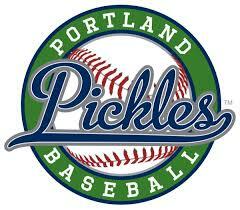 The Bells have signed two players from the Portland Dukes to strengthen their lineup. Derek Atkinson, an outfielder from Clackamas CC, and Grant Stonex, a catcher from Centralia College, are the newest members of the ballclub. 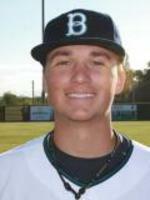 Brett Watson pitched eight shutout innings Thursday night, leading his Walla Walla Sweets to a 3-0 win over the Bells that prevented a sweep and snapped the Bells eight game win streak. upcoming theme nights that promise to provide incredible fun and long-lasting memories. The Bells pitching staff threw a shutout Wednesday evening, allowing only four hits in a 2-0 victory over the Walla Walla Sweets, Bellingham’s eighth win in a row. The Bells took another early lead and relied on great pitching throughout the game, beating the Walla Walla Sweets 4-1 for their seventh consecutive victory. Though the Bells season is quickly progressing, nearly 20 home games remain. These games present not only an ideal opportunity for people of all ages to see high-quality baseball and have lots of fun, they also include the chance to receive many memorable giveaways! On July 19th and 20th, the Bellingham Bells will offer a one-of-a-kind camp for kids between the ages of eight and 12 years old. Led by all Bells coaches, two of whom are in the WIAA hall of fame, and selected Bells players, the camp will be designed to develop each youngster’s fundamental skills and help them become better baseball players. The Bells got two runs in the third inning and relied on solid pitching the rest of the game on the way to a 2-1 victory Saturday, the team’s sixth in a row. On the strength of two ninth inning runs and excellent pitching, the Bells recorded their fifth straight victory Sunday night, defeating the Kitsap Blue Jackets 2-1. Pat Gallagher’s two-out single in the bottom of the ninth scored Eric Lane and capped off the Bells 4-3 victory, their second consecutive walk-off win. The Bells won their third straight one-run ballgame Saturday night, beating the Klamath Falls Gems 1-0 on a Jerry McClanahan two-out, RBI single in the seventh inning. It was another pitcher’s duel at Joe Martin Field with Steven Schoonover and Bellingham’s Andrew Pulido stifling the bats of the opposition. Pulido pitched six scoreless innings, yielding only four hits and striking out four. Schoonover was excellent for the Gems, giving up one earned run in seven innings. Both teams threatened early, with Klamath threatening to take a lead in the first inning. The Gems got a leadoff double from Rich Sanguinetti, who was thrown out trying to advance to third on a groundout. Two batters later, Nick Miller hit the Gems second double of the inning, placing runners on second and third with two out. Pulido retired Tom D’Aboy however, ending the inning. 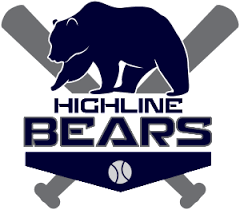 Bellingham led off the fourth inning with back-to-back singles from Kai Hatch and Ben Grubb, who then moved to third and second, respectively, on a Pat Gallagher sacrifice bunt. Michael Aquino then flew out to center field, far enough for Hatch to attempt to score. However, Sanguinetti threw him out at the plate. The Bells finally broke through in the seventh after Aquino led the inning off with a single. He eventually got to third and with two outs, Jerry McClanahan lined a 2-1 pitch into left field, scoring Aquino and putting Bellingham ahead 1-0. The Bells got another stellar performance from their bullpen, which didn’t allow a hit in three innings. Evan Hudson got the win after pitching a scoreless seventh, Nick Palewicz followed by retiring the side in the eighth, and Ryan Deeter did the same in the ninth, getting the save and finishing off the victory. Derek Atkinson’s two-out, two-run single in the ninth inning lifted the Portland Dukes to a 2-1 victory over the Bellingham Bells Tuesday night in a thrilling nonleague game at Joe Martin Field. Don't miss out on several promotions at the Bells upcoming games this week. Pitcher Adrian Sampson held the Gems scoreless over the first four innings and the Bells extended their lead in the fifth with a two-out rally. Eric Lane walked and Gelalich singled again, setting the stage for a two-run double by Kai Hatch that moved the Bells lead to 4-0. Mitch Merten pitched a complete game, three-hit shutout, leading his Klamath Falls Gems to a 4-0 victory over the Bells in Game 2 of the three-game series between the teams. Lately, the Bells have shown a pattern of not getting any runs until the game’s late innings. Though the team was able to reverse that trend and take an early lead on Klamath Falls Friday night, it wasn’t enough as Bellingham fell 6-5. Click HERE to view the box score of this game. Stuart Fewel pitched a complete game shutout Wednesday night against the Bells, leading his Cowlitz Black Bears to a 5-0 victory over Bellingham in the rubber match of the series. Fewel was in command all night long, walking only two Bells hitters and needing a mere 100 pitches. 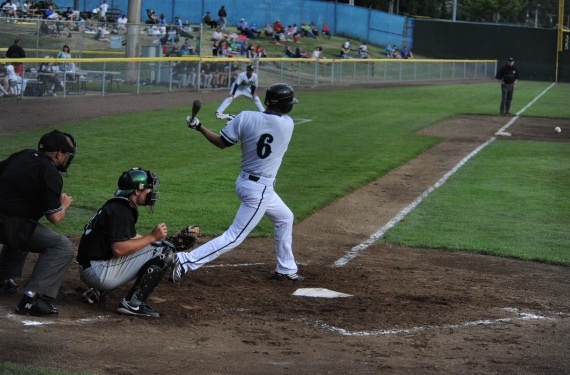 The victory lifted Fewel’s record to 1-2 on the year and vaulted Cowlitz to 6-9 following the series win. Cowlitz took the lead in the second inning thanks to a Bells error. Kyle Garlick singled to right field and Bells outfielder Michael Aquino threw the ball over third base as he was attempting to get the baserunner. The ball went out of play and Braxton Miller scored while Garlick advanced to third. The next hitter, Spencer O’Neil, scored Garlick on an RBI groundout. The Black Bears added on to their lead throughout the game. Miller scored on a Mitchel Walding fielder’s choice in the fourth and Brent Graham scored on a passed ball in the fifth inning, making the score 4-0. Cowlitz got the final run of the game on a solo home run from Garlick in the eighth. Bells starting pitcher Brandon Boyle received the loss after giving up three runs in three and a third innings. Jack Vander Linden and Nick Palewicz each held Cowlitz scoreless in their relief appearances. Jeff Gelalich hit a double to the right field wall in the first inning and Kai Hatch and Ben Grubb each had infield singles, in the fourth and seventh innings, respectively. With the loss, Bellingham drops to 5-11 on the year. The Bells begin a three-game series at Klamath Falls on Friday with first pitch scheduled for 7:05 p.m.
For the second night in a row, there was late-inning drama at Joe Martin Field. 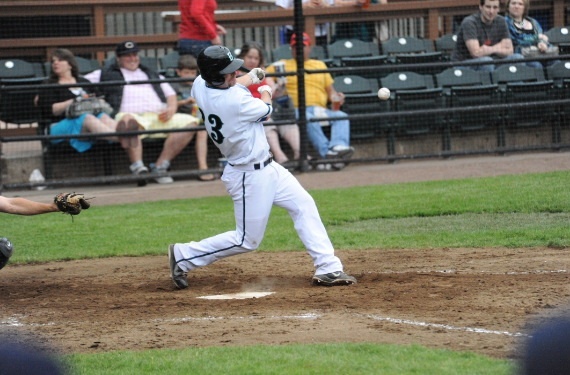 This time, the Bells couldn’t prevail, falling 4-3 to the Cowlitz Black Bears after a frenzied ninth inning. 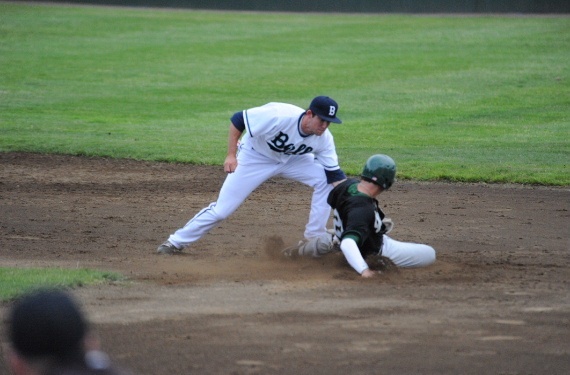 After 12 scoreless innings, the Bells finally defeated Cowlitz 1-0 when Danny Poplawski was hit by a pitch with the bases loaded in the bottom of the 13th, scoring Eric Lane. Make sure to come out to the Bells three game series against the Cowlitz Black Bears starting Monday, June 20th and recieve two promotional Bells giveaways! Unable to mount another late rally, the Bells fell 4-2 to the Corvallis Knights on Saturday to end their seven-game road trip. Bellingham received another night of stellar relief pitching but it wasn’t enough as the pitchers from Corvallis were able to hold the Bells scoreless over the last five innings. Led by solid pitching, the Corvallis Knights won both games of a doubleheader to open their three-game series against the Bells. The Bellingham Bells will take on the Cowlitz Black Bears in a three-game series at Joe Martin Field beginning Monday. The Bells, 4-6 as of Thursday night, will be fresh off a seven-game road trip and will try to improve their record against Cowlitz, 2-7 as of Thursday. After Bend’s first two hitters walked and came around to score, it looked like a potentially long night for pitcher Kyle Schepel and the Bellingham Bells. Instead, Schepel settled down and went on to dominate Bend, leading the Bells to a 5-3 victory that snapped a six-game losing streak. After the ninth inning madness of Tuesday night, the stage was set for another late Bells rally. The gritty team did everything they could to end their five-game losing streak. Everything, that is, except get one more hit, an all-too frequent occurrence of late, including Wednesday night in a 2-1 loss. Though a series of mistakes by Bend enabled the Bells to tie the game with a two-run ninth inning, they were unable to parlay the luck into a victory, losing their fifth straight game by a final score of 5-4. Though the Bells showed great improvement at the plate, it was not enough as they fell Monday night by a final score of 6-2. Bellingham’s 11 hits were three more than they had in their entire home series against Kitsap but timely offense was the difference for the Blue Jackets. Through Saturday night, there had not been a home run hit by either team in any of the Bells five games. Sunday, there were two- by the same person. Kitsap’s Claude Johnson hit a pair of balls over the left-field wall to lead his team to a 10-1 victory and series sweep of the Bells. Entering Saturday night’s contest with the Bells, Kitsap starting pitcher Blake Golding was somewhat of an unknown, having only pitched two innings this season for the University of Utah. By the end of the night, Golding would leave a lasting impression on those in attendance at Joe Martin Field - that of someone who silenced the Bells bats in leading his team to a 2-1 victory. Led by a four-run second inning, the Kitsap Blue Jackets defeated the Bellingham Bells 4-3 Friday night, in the process extending their winning streak to four games and dropping the Bells to 3-1 on the season. Though the Bells made a spirited comeback, Kitsap’s second inning offensive explosion proved to be too much. The inning got started with a rare Eric Lane error at third base. Evan Potter had an RBI single and second baseman Matt Forgatch delivered the crushing blow, a two-run double. Coming off a season-opening sweep of the Kelowna Falcons, the Bells get back to action this Friday as they begin a three-game series against the Kitsap Blue Jackets. Kitsap, 3-2 through Wednesday’s action, is in a tie for first atop the WCL’s West Division. 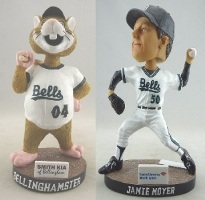 Come out to Joe Martin Field this Saturday night and receive a unique Bells collectable item! First 1,000 fans in the park will get a Trophy Hat replica of our new home cap!!! This Friday, June 10th, Mariners legend Dave Valle will be honored at Joe Martin Field for the Bells series-opening game against the Kitsap BlueJackets. A 2011 advisory board member of the Bells, Valle will be throwing out the game’s ceremonial first pitch and will be available for autographs before the game. Beginning at 4:00 p.m. on Wednesday, June 8, the Bells will be giving fans a unique opportunity to see the team at the Bells’ Fan Fest. Festivities begin with a practice at Joe Martin Field that is open to the public. Starting at 6:00 p.m., fans will have an hour to mingle with the players and coaches and receive autographs. There will be free peanuts, popcorn, and sodas for everybody in attendance. For someone who has made a very successful living in the world of business, new Bellingham Bells owner Eddie Poplawski isn't much for making a sales pitch. When it comes to the Bells, and baseball in general, the former president/CEO/chairman of Anderson Chamberlin Inc. (now known as Anderson Daymon Worldwide), Costco's in-house manufacturer's rep firm, and the co-founder of CommercialCondos.com, simply speaks from experience and lets the game sell itself. Bells pitcher Adrian Sampson dominated the Kelowna Falcons hitters en route to a complete game, five-hit shutout, leading the Bells to a 4-0 victory that completes a season-opening sweep of Kelowna. With his second straight complete game shutout, Sampson has now recorded 18 consecutive scoreless innings. Everybody around Ben Grubb said it was coming. Though he struggled at the plate this year for the University of Portland, coaches and teammates alike knew it was only a matter of time until he broke out of his slump. Led by the stellar pitching of Leko Galusha, the Bellingham Bells opened their season with a 6-2 victory over the Kelowna Falcons Friday night in front of a spirited crowd at Joe Martin Field. The Bellingham Bells open their season this Friday as they kick off a three-game series against the Kelowna Falcons at Joe Martin Field. First pitch is scheduled for 7:05 P.M. and the first 1,500 fans into the ballpark will receive a magnet schedule presented by Little Caesar’s. Following the game, the night sky will be lit up with a fireworks show put on by Silver Reef Casino. If you are unable to make it out to Joe Martin Field to watch the Bells or follow the Bellingham club while they are on the road, tune in online and on the radio as Bells broadcaster Johnie Freatman brings you the action live. Jacob Clem barely has to be prodded to share the basketball story. As he describes it, he was in seventh grade and his older brother Zach Clem, whom he'd never beaten, was a junior in high school with a considerable size advantage. But on that day, in front of their home in Burlington, Wash., Jacob was able to hit a turnaround fade away, a prayer of a shot, and finally knock off his older brother. Brandon Boyle, a right-handed pitcher from Lower Columbia Community College, and Andrew Pulido, a right-handed pitcher from El Camino Community College, have signed West Coast League contracts to play this summer in Bellingham. The duo will strengthen a pitching staff that includes 12 right-handed pitchers and five lefties. The Bells are excited to announce that they will be partnering with Cascade Radio Group this upcoming season to provide radio broadcasts of 18 regular-season games. Every Saturday and Sunday game will be broadcast live on KBAI 930 AM and simulcast online at www.930kbai.com. The Bells will also be featured in a weekly segment called the “Bells Blast” during The Zone on KPUG 1170AM and online at www.kpug1170.com . Two former Mariners have joined the Bells as advisory board members. Dave Valle and Jamie Moyer will spend time meeting with players and coaches, visiting with various sponsors and community organizations, and attending some games while serving as invaluable sounding boards for owner Eddie Poplawski and general manager Blake Buswell as they work to build and strengthen the organization. The Bells have signed two freshmen from the highly successful University of California Irvine baseball program to strengthen their lineup. Jerry McClanahan, a catcher from Temple City, California, will join Dillon Moyer, an infielder from Bradenton, Florida, in Bellingham for the upcoming season, which begins on June 3rd. The Bells have signed three players from Washington state community colleges to bolster their pitching staff. Andrew Olson, a left-hander from Tacoma Community College, will join fellow lefty Jacob Coats of Everett Community College and right-hander Adrian Sampson of Bellevue Community College for the upcoming season, which begins on June 3rd. Danny Poplawski, Tyler Spear, and Jack Vinder Linden, a trio of players from colleges on the east coast, will head west to play in the West Coast League this year. The Bellingham Bells have signed the trio to contracts for the team’s upcoming season of play, which begins June 3. As we all know America’s favorite past time isn’t complete without a patriotic song to kick things off for the night. The Bells are preparing for an exciting season of baseball and are holding auditions for the National Anthem this 2011 summer. Bobblehead nights, fireworks shows, family theme nights and many more events will all be a part of the Bells exciting promotional schedule this summer at Joe Martin Field! In fact, the Bells are thrilled to announce that there will be a special promotion of some kind on EVERY night of the team’s 2011 home schedule! Are you looking for a job this summer? The Bellingham Bells are now accepting applications for their 2011 game day employees. The Bells are looking for fun, energetic people to help in a variety of guest services roles. Evan Hudson and Tyson Schmitt, a pair of right-handed pitchers from the University of Washington, will remain in western Washington and play for the Bellingham Bells this summer. The duo will be ready for action as the Bells season begins on June 3rd. The Bellingham Bells are excited to announce that work began this past week at Joe Martin Field to improve some of the seating and group gathering areas within the ballpark. The Bells need a few more families to host players for the 2011 season. Bells players come to Bellingham from around the country and stay in homes of local families while they play baseball from early June to mid-August. Mitch McQueen and Richie Ochoa, a pair of pitchers from Washington State University, will remain in the state of Washington and play in the West Coast League this summer. The Bellingham Bells have signed the duo to contracts for the upcoming season, which begins on June 3. Marshall Yanzick, a junior infielder from Cornell University, and Zane Yanzick, a freshman outfielder from Wake Forest University, have signed contracts to play West Coast League baseball this summer for the Bellingham Bells. The brothers, from Beaverton, Oregon, will be returning to the Pacific Northwest to play together for the first time since their 2008 high school season. The Bellingham Bells have hired Johnie Freatman, an undergraduate student at the University of Southern California, to be the play-by-play broadcaster for the 2011 season of West Coast League baseball in Bellingham. Freatman, who is pursuing a B.A. in Communication with a minor in Journalism, is completing his sophomore year at USC. He will graduate in May 2013. The Bellingham Bells are asking for the community's help in naming their mascot. The Bellingham Bells baseball club will be holding a special event on Tuesday, March 29th at 4:15 p.m. in order to showcase their new look to the community. The gathering will be held at the Bellingham Boys & Girls Club on Kentucky Street. Former Bellingham Bells team member, Jacob Clem, threw a two-hit complete game victory for the University of Washington last weekend. This great pitching perfomance came against Dallas Baptist on Sunday, March 13th. Clem was a member of the Bells during their 2007 campaign. Clem also played for Burlington-Edison High School in Burlington, Wash. from 2003-06 where he was a member of the Washington All-State Team. Click on the following link to be re-directed to the University of Washington athletics website with the game recap on Clem's recent performance. The Bells open their season on June 3 at Joe Martin Field against the Kelowna Falcons. 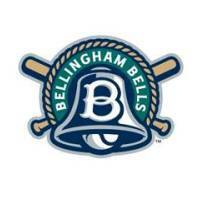 Individuals and companies with inquiries about season tickets, corporate sponsorship opportunities, or any other matters related to the ballclub, are encouraged to contact the Bellingham Bells offices at (360) 527-1030, or via e-mail at bells@bellinghambells.com. 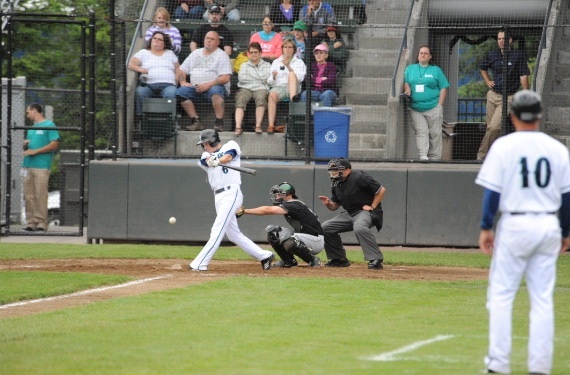 The Bellingham Bells are a professionally operated collegiate summer baseball team in the West Coast League striving to provide their fans, sponsors, and partners with the very best in competitive baseball and affordable entertainment in a family-friendly atmosphere. The team is comprised of college baseball players from across the country. In recent years, the Bells have helped produce a number of major leaguers including Jeff Francis of the 2007 National League Champion Colorado Rockies and Whatcom County natives Ty Taubenheim and Kevin Richardson. 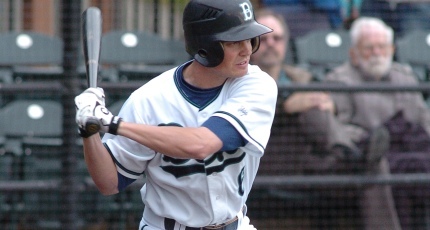 Two big pitchers and a utility infielder have been added to the Bellingham Bells 2011 roster. 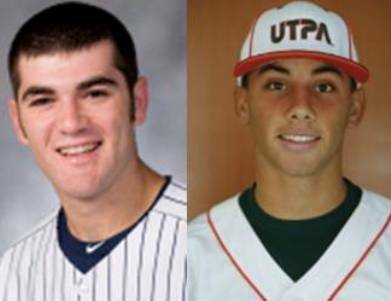 The Bellingham Bells have signed two talented outfielders from the state of Texas for the 2011 season. Michael Aquino who is a member of the perennial national college baseball power at Rice University will play for the Bells this year, and Andy Fortuna will be joining the Bellingham roster this summer from University of Texas, Pan American. 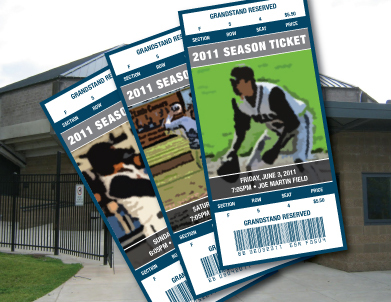 Season tickets for the 2011 Bellingham Bells baseball season are on sale now and can be purchased for as low as $36 through the Bells Ticket Office. Tickets can be purchased over the phone at 1-360-527-1035 or in person at the Bells’ new front office located at 1221 Potter Street. 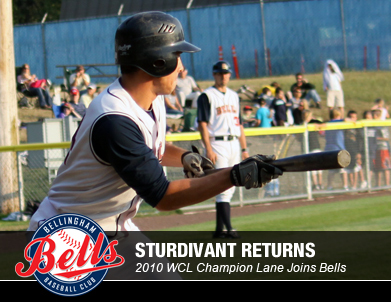 The Bellingham Bells have signed Chris Sturdivant to a 2011 West Coast League contract as the outfielder sets to return for a second season with the ballclub. The Gonzaga University product is also bringing collegiate teammate and 2010 WCL Champion Eric Lane. 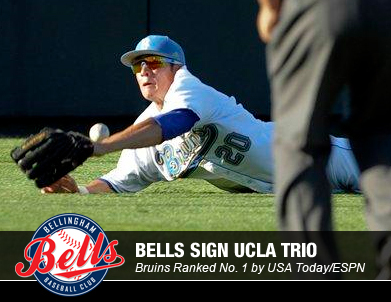 The Bellingham Bells have inked a trio of players from UCLA, the nation’s top-ranked baseball program according to the USA Today/ESPN Top 25 Coaches Preseason Poll that was released on Thursday (Jan. 27). Former Bells player Kai Hatch has signed on to return to Bellingham after last suiting up for the team in 2008. Hatch, a sophomore at Utah Valley University in Orem, Utah, will also be joined by another Utah player as Brigham Young University’s Chris Howard has signed a contract to pitch for the Bells in 2011. The Bellingham Bells roster continues to grow after the holidays with the additions of two-way player Kolton Emery and catcher Nick Andrews from South Dakota State University.